I have been noticing “365 days – post a photo a day” challenges lately. I know I cannot participate every day but Capture Your 365 now includes a weekly prompt so this week I am participating. This week’s prompt is “white”. A few weeks ago, my daughter borrowed her friend’s Canon EOS 5D Mark II. She let me play around with it for a few minutes. 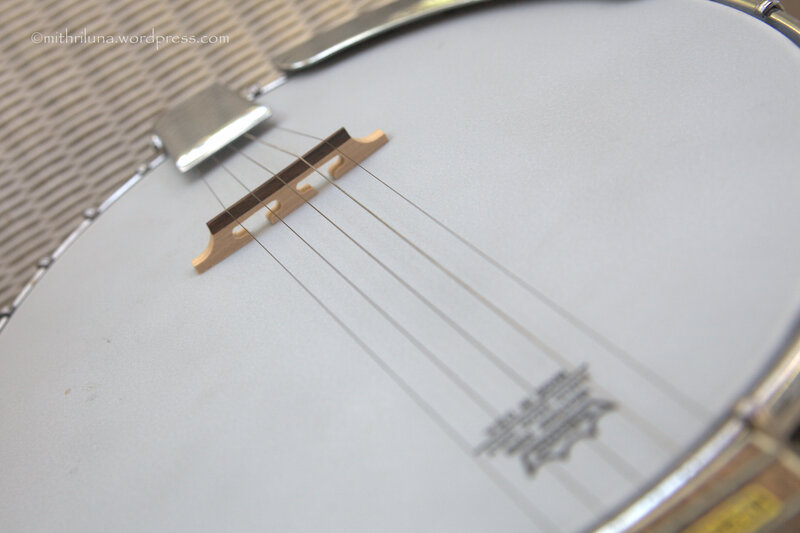 I looked around for an interesting subject and found one in my brother’s banjo. That is a unique musical instrument. I love the angle you took. Beautiful capture! Did you like the 5D mark ii? Thank you Amy! The 5D was big and scary! I just played with it for 10 minutes. I don’t know enough about cameras to find out what it can really do.